The rainforests of the Congo Basin are second in size to the Amazon rainforest, but they are greatly endangered. One of the nations in the region is Côte d’Ivoire, or Ivory Coast, so named for the great herds of elephants that used to live there. Now, this country which used to have the greatest rainforest has lost most of its rainforest. Learn about deforestation and other human impact on the rainforests of the Congo Basin. 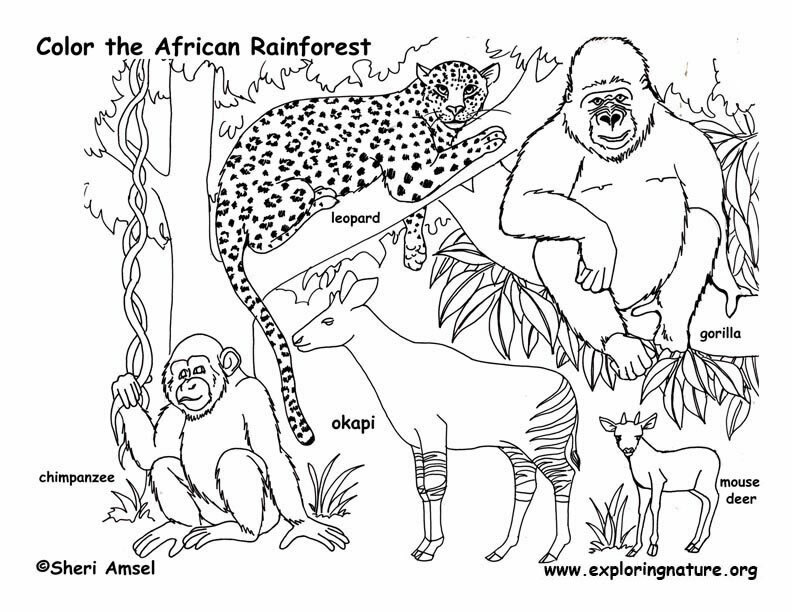 Identify action that could be taken to help slow the destruction of African rainforests and challenge students to create posters to help encourage these actions. Learn about The Ivory Coast. Chocolate is a major crop in Cote d’Ivoire. Check out our Chocolate Lesson Plans to learn more. Read I Come from Ivory Coast to get a kid’s eye view.